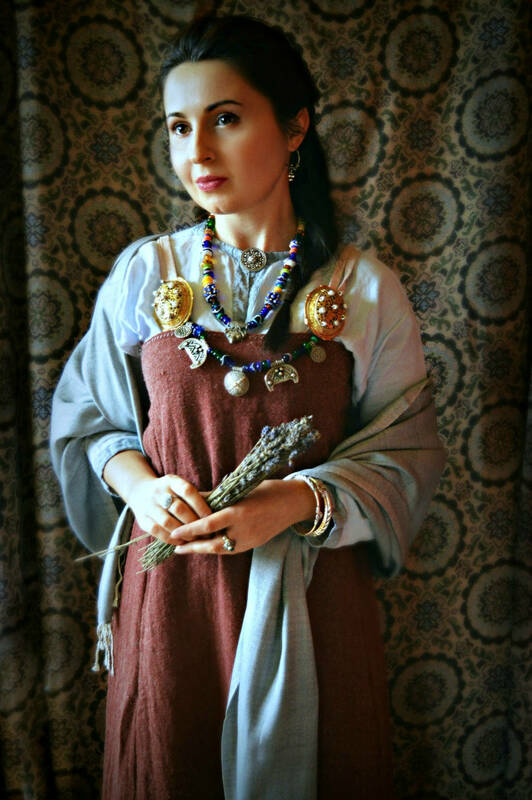 Gray and white colour, beautiful silk shawl hand woven in diamond weave, perfect addition to you historical costume for sun, cold and wind protection for Vendel and Viking period reenactors. You can wrap it around your neck, shoulders or create a head covering of it - in fact it's perfect for it! It will be also good as a baby wrap. 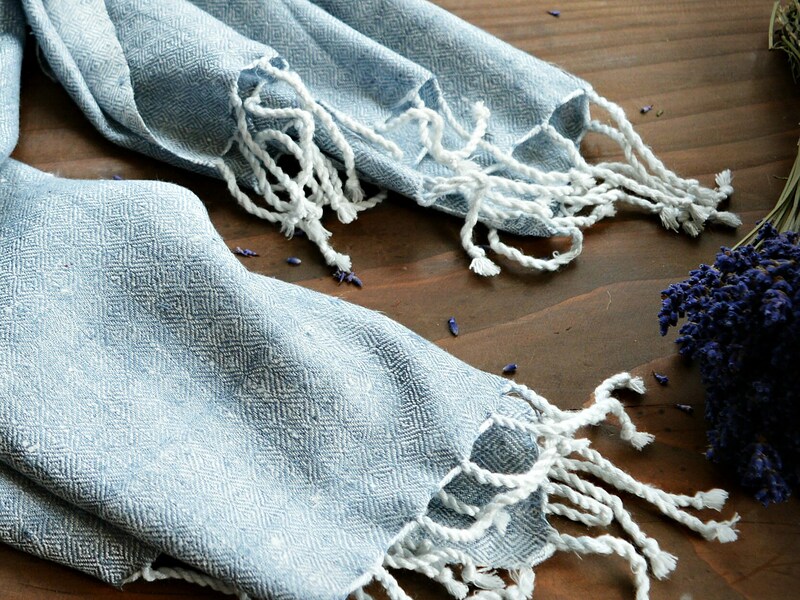 The reason for it is it has been woven of two kinds of silk yarn - shiny and more rough. The effect is a bit like a mix of silk and linen, but with the slight shine of silk and its luxury. This shawl is a newbie in my shop and is a bit different - it is thicker, more mat in look and touch. 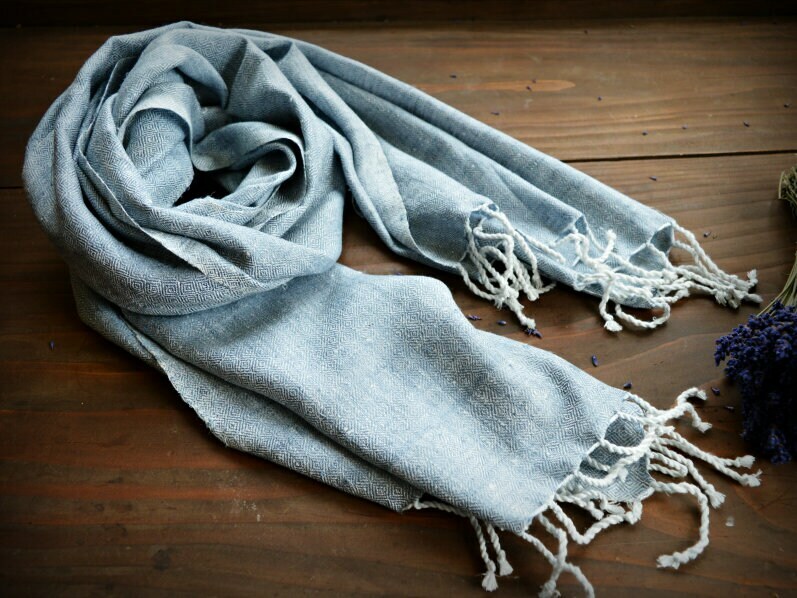 Hand woven from 100% natural silk yarn. 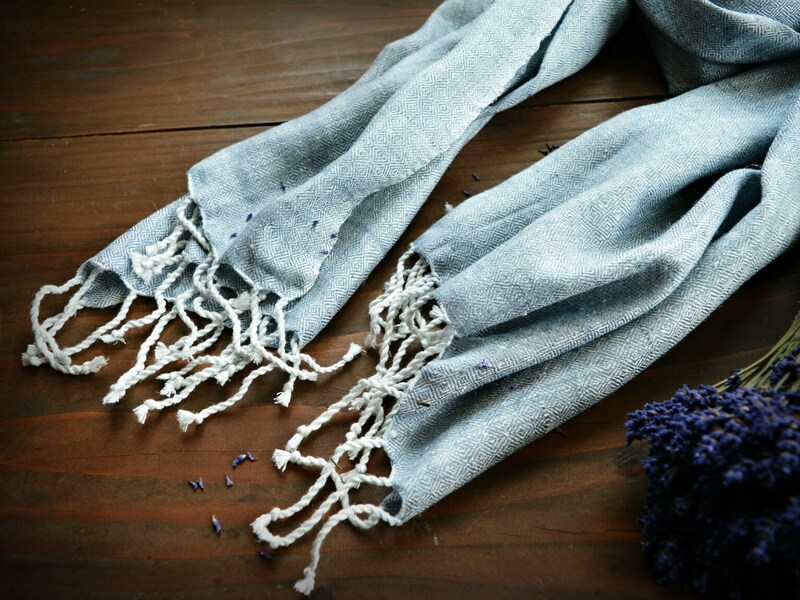 Made of two yarn colours (gray with blueish undertone and natural, undyed colour of silk), together it creates an effect that reminds ice. It a slight shine and looks differently depends of light and its position.